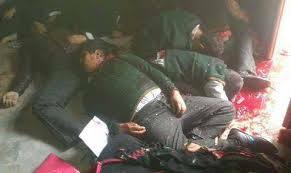 In December 2014, Indian trained terrorists attacked Army Public School in Peshawar and killed innocent children. Even if one did not name the enemy, everyone knows that who trained the terrorists, planned and executed this terror activity. However, whole world condemned this terrorism without naming the mastermind. This is such a tragic event of Pakistan’s history that can never be forgotten. On 16 December 2016, innocent children of APS Peshawar were commemorated in the long and short of Pakistan. 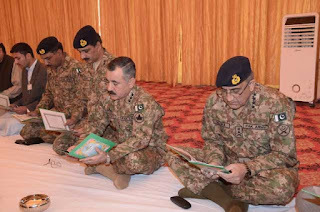 Army Chief Qamar Javaid Bajwa met participated in the recitation of Quran for the martyred children and met with the parents of these children. In this regard a ceremony was also held. Parents were told that the pictures of martyred children have been pasted in the offices. The blood of these innocents needs to be revenged and we will not rest until we end the terrorism. Prime Minister also reinforced the determination against terrorism. India also participated in the grief of Pakistan. 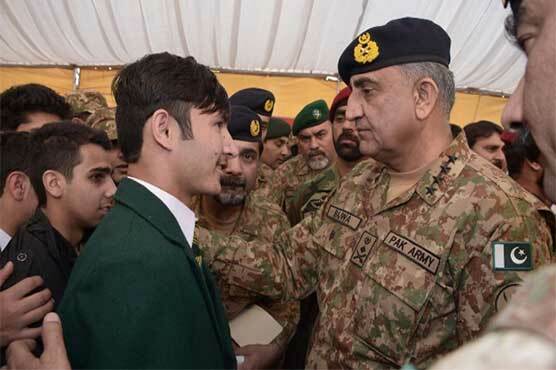 Commemorating the APS Peshawar attack, Indian army targeted the school van in Nakiyal Center Azad Kashmir over LoC. School was carrying 20 school children. Due to the barbarism of Indian state terrorists 10 students were severely injured out of which 3 are in critical situation. The van driver got martyrdom on spot. As per routine, Pakistan called upon the Indian Deputy High Commissioner and handed over a protest memo. Govt. issued few statements that India should respect cease fire. 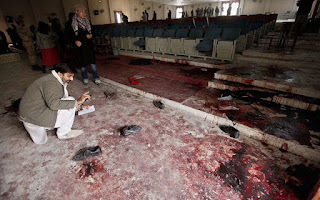 The only difference between 16 December 2014 and 2016 is that in the previous attack, attackers were identified as terrorists and now the attackers were uniformed Indian state terrorists. A trained soldier belonging to any country will not attack innocent children’s van. If uniformed soldiers attack children van then they will be called terrorists and Indian army has also this award as well. Neither school children nor ambulances are safe from them. This is not an old report; on 20 November 2016, Indian army targeted ambulance and passenger buses in Azad Kashmir through mortar shells. At that time Pakistan also protested on international level but the result was zero. Will Pakistanis and people of Azad Kashmir will continue to suffer in the hands of Indian aggression? Passengers of buses, ambulances and children will be target of unprovoked Indian shelling? No doubt Pakistan army gives a befitting reply to Indian army unprovoked shelling silencing Indian guns temporarily and then unprovoked shelling starts again. The basic reason is that Pakistan has never given a strong reply. If Prime Minister of Pakistan or Foreign Minister takes strong stance against unprovoked Indian shelling; keeping the diplomatic ties Pakistan should cancel all trade (which is proving lossful to Pakistan) with India. Pakistan should call back its ambassador to India as a protest over the unprovoked Indian shelling over civilians, ambulances, passenger buses and school children; this will make the graveness of the situation clear to the whole world. Those big powers who have economic interests in the South Asia will interfere and force the both countries to come to the dialogue and in this way world would realize that which country is not ready for dialogue. The oral protest of Pakistani govt. expression of concerns by big powers and UNO is meaningless for India. Indian army knows that Pakistan army will never target civilians across the LoC. This is not because the civilians across the LoC are Muslims, but as a professional army not targeting civilians is also part of military duties. Otherwise across the LoC the villages of Sikh and Hindu civilians are also located. India has been exploiting this professionalism of Pakistan army since long. In 2003, before cease fire over LoC, the inhabitants of Azad Kashmir near LoC were facing similar situation. Those roads that were in the firing range of Indian army were not used in the day light. India respected ceasefire as long as she had the chance to interfere into Pakistan via Afghanistan. If we look at the history, there was a time when whole Pakistan was burning in the hell of terrorism. Suicide bomb blasts were a routine but the friendship bus service across the LoC was running. February 2005, under the name of Peace Caravan from Azad Kashmir to Srinagar bus service was started as India was the only friend of Kashmiris. Indian Prime Minister Man Mohan Singh termed bus service across LoC as a big development. This was an Indian plan to prove to the world that not only India is willing for resolving issues with Pakistan but also taking practical steps while on the other hand India has opened battlefield against Pakistan via Afghanistan.